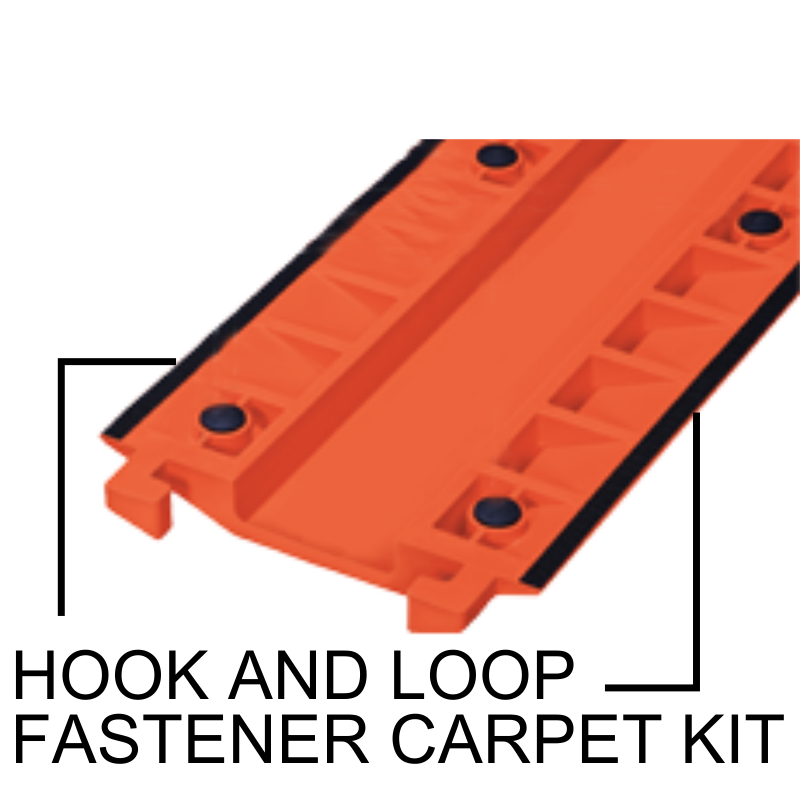 Simply drop over the Fastlane 4" channel protector to keep your cabling safe in pedestrian traffic areas. 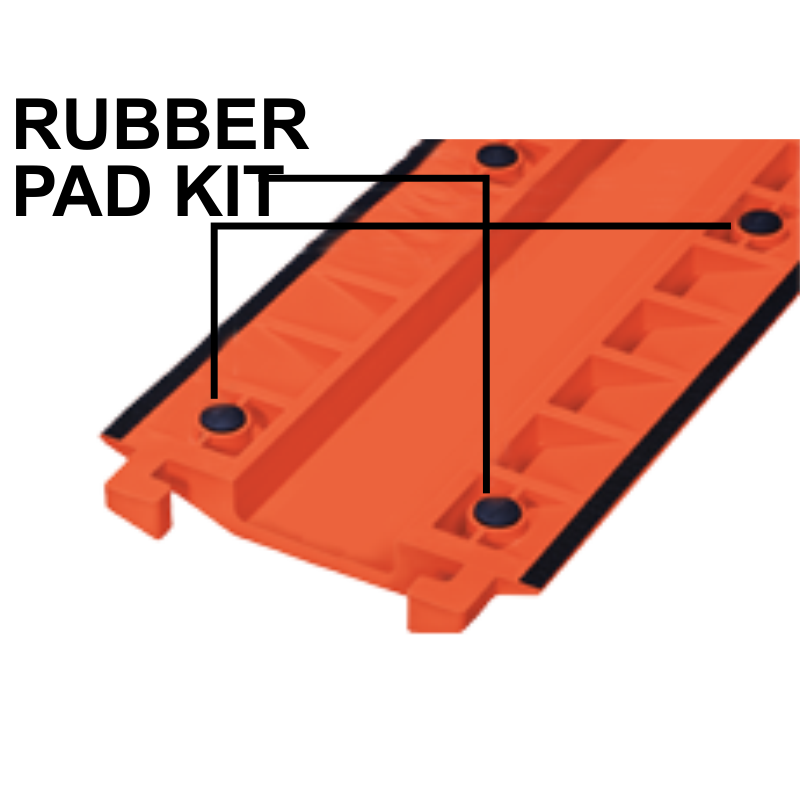 • Protectors are made of highly durable polyurethane with patented 5-bar treaded plate surface. Colors are UV stablized for long outdoor life. • Protectors can fit a cabling size up to 1" in diameter. 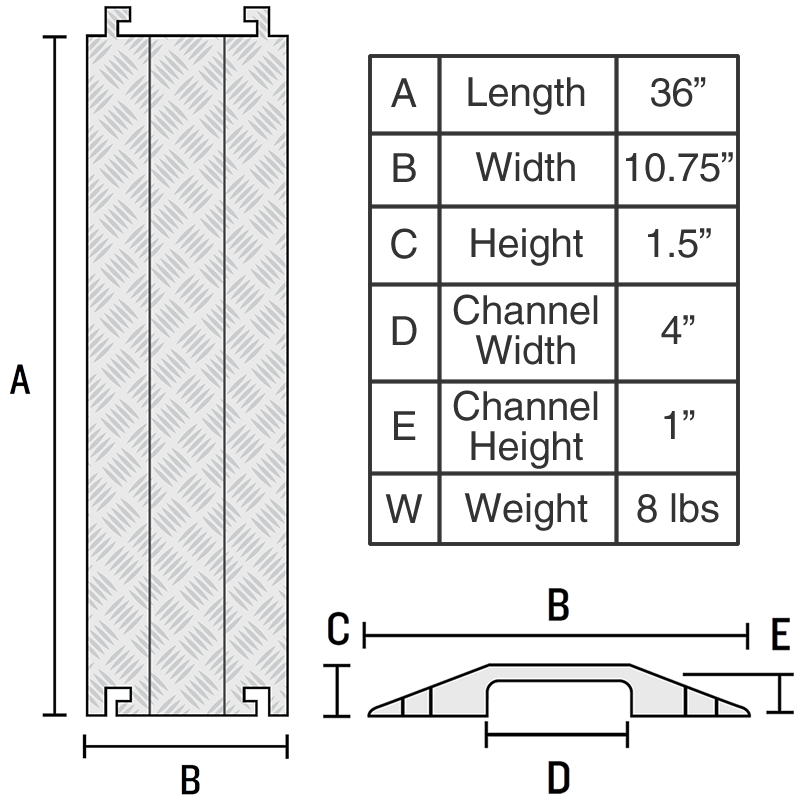 Channel size is 36" L x 4" W x 1" H.
• L-Connectors allow you to connect multiple protectors to create various lenghts. 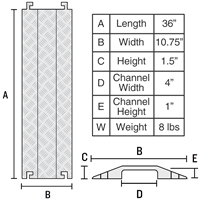 The 4" channel protector is not compatible with our other models. • Good for use with lightweight vehicles and pedestrian traffic. Protectors have a tire load capacity of 1,050 lbs per tire and an axle load capacity of 2,100 lbs. 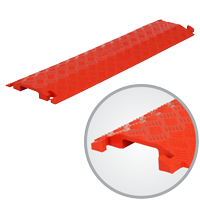 • Made of highly durable polyurethane with patented 5-bar treaded plate surface. Colors are UV stablized for long outdoor life. • L-Connectors allow you to connect multiple protectors to create various lenghts. • Protectors can fit a cabling size up to 1/2" in diamter.